Brazil’s GDP grew at a 2.5 percent annualized rate in the second quarter, down from 5.4 percent in the first quarter, and somewhat lower than its year-over-year growth of 3.2 percent. GDP is now 7.8 percent above its pre-recession peak. Brazil continued its trend toward services and away from industry. While services contributed 1.6 percentage points to annualized quarterly growth, industry subtracted 0.1 percentage point from overall growth (the remainder of the 3.2 percentage points was contributed by agriculture and net taxes). In the first quarter, manufacturing (the worst-performing sector since the recession) began to close the gap with finance and insurance (the best-performing sector since the recession), as manufacturing grew at its fastest rate in a year while finance shrank for the first time since 2008. In the second quarter, however, the gap widened again. Finance returned to positive, if modest, growth at an annualized 2.3 percent rate, while manufacturing shrank by 0.8 percent, annualized. Finance has now risen to 20 percent above its pre-recession peak, growing 4.5 percent since the second quarter of 2010. Manufacturing, in contrast, is still struggling to reach its 2008 levels. Since the second quarter of 2010, it has grown 1.2 percent, but since the pre-recession peak its growth has averaged an essentially-flat -0.1 percent per year. Domestic sources of demand — private consumption, government spending, and gross fixed capital formation — all grew faster than overall GDP in the second quarter. The only expense category to hurt GDP was the worsening trade balance, discussed in more detail below. Private consumption, government spending, and gross fixed capital formation all accelerated their growth in the second quarter. Private consumption rose at a 3.7 percent annualized rate, up from 2.6 percent in the first quarter. Over the last four quarters, it has grown 5.7 percent. It has averaged 5.1 percent annual growth for the business cycle. Government spending grew at a 5.9 percent annualized rate — its fastest growth in a year — up from 3.4 percent in the first quarter and negative 1.1 percent in the last quarter of 2010. This brings its four-quarter growth up to 1.9 percent. Gross fixed capital formation expanded at a 6.4 percent annualized rate, above its year-over-year growth of 6.2 percent. Both exports and imports bounced back after losing ground in the first quarter. However, imports grew at a much faster pace: 31.4 percent annualized compared to 9.7 percent for imports. The result is that the trade deficit widened, from 0.4 to 0.9 percent of GDP, after two quarters of improvements. The previous two quarters’ improvement was largely due to falling imports, so over the past four quarters, imports have grown by only 13.4 percent. Exports have remained much more stable, growing 6.3 percent over the past four quarters. On August 31, the central bank lowered the Selic rate from 12.5 to 12 percent, in a move that surprised markets. The real has fallen against the dollar from 1.59 on August 31 to 1.86 today. 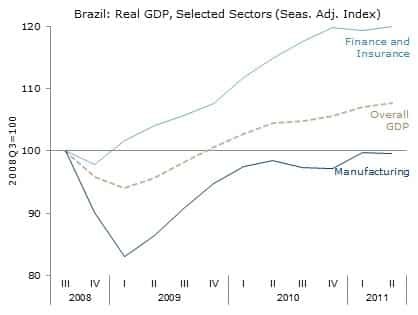 With the global economy slowing, it appears that Brazilian policy makers — who had previously moved to slow the economy after last year’s 7.5 percent growth — may be reversing course. With IMF projections for economic growth in the U.S., Europe, and elsewhere revised downward in last week’s World Economic Outlook, and a number of warnings of downside risks, moves toward a more expansionary macroeconomic policy would appear prudent. Attribution: Rebecca Ray is a Research Associate at the Center for Economic and Policy Research in Washington, D.C. This article was first published by CEPR on 30 September 2011 under a Creative Commons license. Brazilian government takes 40% from a $100,000 salary? BRAZIL has a income tax of 27.5% for a person earning $100,000, according to a survey of effective tax rates in 93 countries published on September 29th by KPMG, an accounting firm. But employee social-security contributions in Brazil are 12%, and once such contributions are taken into account, high earners in Brazil will take home 62% of their salary. Brazilian high earners will still take home more than several countries, including Belgium, Greece, Germany and France. Belgium’s government grabs the highest share from earnings of $100,000, at almost 48%. Brazilian income tax rate bracket of 27,5% starts at salaries above R$ 3911,63. With inflation at almost 7% one can expect salaries will increase next year, pushing more tax payers in the higher bracket. The unions are propping up for higher salaries. At the moment the government owned banks are striking, in several states teachers and police are striking for better working conditions and higher salaries. A significant shortage of qualified and skilled labour force and high demand as a result of the relative strong economy and implemented government (protectionism) programs will push salaries further. Just a few years ago salaries of R$ were very exceptional, but a recent survey of DataFolha shows that more and more categories have moved in to this salary scale over the last couple of years. The good news is that more taxes income is available for the government to implement the much need infrastructure, social and education programs. The challenge is the execution power of the various governmental powers to implement the plans in budget and on time. The real bad news is that higher salaries are pushing inflation. Not only will the cost of production increase, but also consumer demand will increase. In the overheated economy (some already signaling a bubble) producers will be able to raise prices of their products. In a few critical branches of the economy this is further supported by the government to frustrate foreign direct investment. The clearest example is the recent increase by 30% of the import taxes on cars not produced in Brazil. With the major economies in the world suffering, one might ask himself whether Brazil will escape a financial crises. One of the automakers hardest hit by the protective measure of the Dilma administration, the increase in the IPI (Excise Tax), China’s JAC Motors accused Brazil of breaching the guidelines of the WTO (World Trade Organization) and confirmed that it has frozen its plans to open a factory in the country. “The way in which the Brazilian government raised the tax is a serious violation of the basic principles of the WTO,” said JAC Motors, in a written response to Folha. “The discontinuous, irrational and partial Brazilian policy strongly undermined the confidence of JAC and other automakers to invest in Brazil. Therefore JAC is forced to re-evaluate its decision to invest in Brazil,” the company said. The Chinese automaker says that the measure did not forecast an adjustment period and cites three alleged violations of Brazil to the general guidelines of the WTO: market access, fair competition and non-discrimination. In JAC’s judgment, Brazil adopted the measure looking to limit Chinese cars, compromising fair competition. The company says that it functions without subsidies from the Chinese government and has not been accused of dumping (charging artificially low prices). “The Brazilian government offered special treatment to Mercosul and other countries (Mexico) to the detriment of China, breaking the principle of MFN (Most Favored Nation),” the Chinese automaker says. MFN, taken by the WTO as one of the most important guidelines for international trade, states that in normal situations, one cannot differentiate between trading partners. JAC also mentions that the increase in the IPI differentiates between domestic and imported products, in violation of the principle of “national treatment” whereby imported products must have the same conditions of local competition after already entering the domestic market. The directive allows customs duties which is not the case of the IPI. Representatives of JAC met on Tuesday with the Commerce Ministry to pressure the Chinese government to act on behalf of the company. But until yesterday there was no official statement on the issue. At the beginning of August, JAC had announced the construction of a factory in Brazil, which would start production in 2014. The planned investment was $600 million to produce 100 thousand units per year. According to the company, this would generate 3500 jobs directly and another 10,000 indirectly. 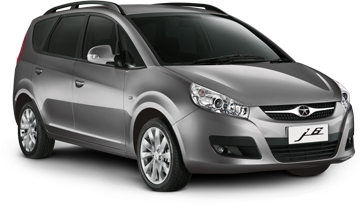 JAC is a Chinese company that sold the most cars in Brazil this year – about 14.5 thousand. Founded in 1964, the China Anhui Jianghuai Automobile Company is headquartered in the city of Hefei (east). Last year, it sold 460 thousand units, earning 50% more than in 2009. In another attempt protecting the labour market, Brazil has raised the minimum capital requirements for granting permanent Director’s Visas in Brazil. In the past it was possible to obtain a permanent visa for intra-company transferees to work as managers, directors, or executives with a minimum investment of US$200.000. From now on, companies have to invest at least R$ 600.000 in order to obtain a visa for its foreign directors who are coming to live in Brazil. Each additional director will require another R$600.000. On this blog I have already given other examples of protectionism by the Brazilian government. Just a few days ago I wrote an article about the massive tax increase (+30%) on imported cars. Also the wind-energy industry is experiencing the measurements to protect the local (monopolist) steel industry. 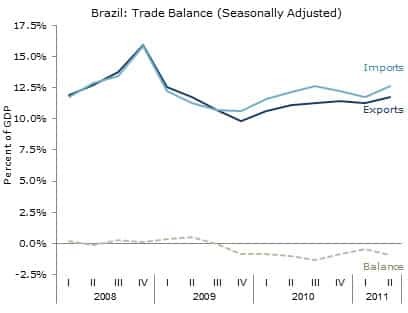 Although the increased capital requirements and the additional option to get visa for foreign managers will provide additional revenue for Brazil government and facilitate the creation of jobs in the country, they could add further stress on the already tight labour market particularly for qualified labour and possibly discourage long term productive foreign direct investments in Brazil vis-a-vis other similar foreign direct investment destinations with a more favourable legislation on foreign labour. Again, this looks like another time the Brazilian government is shooting in its own foot. The Brazilian formula is to crowd out enterprise or drive it underground with excessive spending and taxation, then to harass it further with capricious, nonsensical regulation. The government will more than doubled the IPI (Tax on Industrialized Products) for domestic and imported vehicles that do not meet requirements such as investments in technology and a percentage of 65% domestic produced materials. Because of a common automotive regime between Brazil and Argentina, automakers operating in the neighboring country and sold to the Brazilian market will also be affected. The announcement was made Thursday by the Ministers Guido Mantega (Finance), Fernando Pimentel (Development) and Mercadante (Science and Technology). According to Mantega, the measure can leave cars 25% to 28% more expensive than today. The government says the measure will impact on car prices by up to two months. 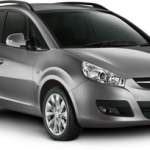 Currently, the tax rates of the cars produced in Brazil range from 7% to 25% depending on the model and power the car. The new rate will increase by 30 percentage points, from 37% to 55% depending on engine capacity. For cars up to 1,000 cc, the IPI will rise from 7% to 37%. For vehicles from 1000 to 2000 cc, the rate, currently between 11% and 13%, will rise to 41% to 43%. In addition to passenger cars, the measure will include the manufacture of tractors, buses, trucks and light commercial vehicles. To maintain the current rate and avoid the increase, automakers must prove they aare manufacturing cars with a least 65% domestic produced materials and that they have centers of technological development in Brazil. In 60 days, the Ministry of Development, Industry and Foreign Trade will check the qualifications of companies that meet the requirements and will not have tax increase. In addition, companies will have 15 months to maintain or expand their investments in technology. The measurement will be in effect until December 2012 and is part of the plan to stimulate the industry ‘Brasil Maior’, announced last month by President Rousseff. The objective of the measure is to foster competitiveness in Brazil, and make the vehicles manufactured in the country have more local content. The government hopes thereby to stimulate production in the country one of the ways to generate more employment in the country. “It’s a complementary program of “Brazil Maior” to compete more solid with the import cars by means of stimuli for the Brazilian industry, one that produces vehicles in Brazil and Argentina,” said Mantega. 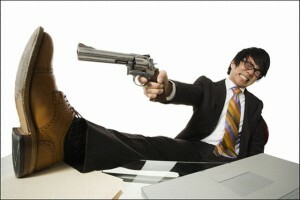 “It has happened that the market is depleted, the crisis has reduced consumption. There is excess capacity and a greater competition for markets. 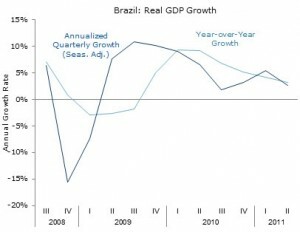 Brazil has maintained high sales, re-established after the 2008 crisis of production and consumption. 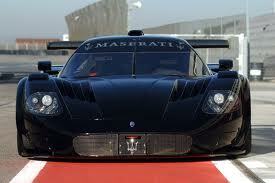 But there is an appropriation that by international manufacturers, “he said. The minister said the goal is to prevent the export of manufacturing jobs. “We run the risk of being exporting jobs to other countries. We were concerned with the increase of vehicles in stock. Industry is innovation, creates jobs and the market should be enjoyed by the domestic industry,” said Mantega. 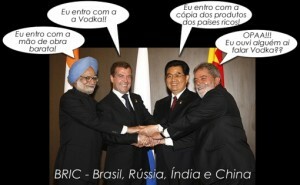 BRICS may help Europe out – Business LIVE. The BRICS group of emerging markets may ramp up holdings of euro-denominated bonds in an effort to help European countries stuck in a sovereign debt crisis, Brazilian newspaper Valor Economico reported on Tuesday, citing an unnamed official. There was still “no firm dialogue” about that possibility, the newspaper said, noting that purchases may be limited to debt from the more financially solid European nations. A decision could be taken later this month when finance ministers and central bank presidents from Brazil, Russia, India, China and SA meet in Washington, the newspaper added. Brazil’s finance minister, Guido Mantega, said the BRICS nations would discuss the eurozone problems next week. “We’re going to meet next week in Washington and we’re going to talk about what to do to help the European Union get out of this situation,” Mantega was quoted as saying. However, central banks in Brazil and SA declined to comment on the story, the newspaper said. Comparing Brazilian states with countries: Brazilian equivalents | The Economist. 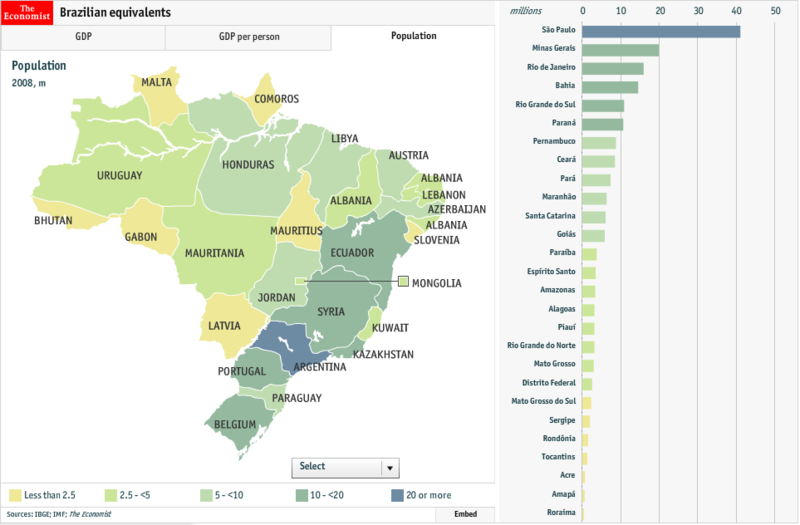 Which countries match the GDP and population of Brazil’s states? A very intersting article and beautiful infographic in The Economist. Unfortunately the data is from 2008. A lot has happened in Brazil over the lsat three years and GDP has been growing by 10% a year, while a lot of countries has been in recession. Anyway, to informative to not post it. The House of Representatives on Tuesday approved an interim measure that fits the tablet PC’s in the law of incentives for computers and laptops, giving complete exemption of PIS / Cofins, which is currently 9.25% for the equipment produced in Brazil. According to the government, tax breaks derived from the measure will reach $ 6 million a year. The aim of the proposal is to lower the price of tablet PC’s, encouraging its use primarily by students. The Brazilian government also said the proposal aims to raise the rate of investment and innovation, increased productivity and strengthening the productive sector. “This is a measure that dialogues with modernity and with the new reality of the world, and generate jobs,” said House Speaker Marco Maia (PT-RS). The deputy also amended to limit the size of the screen called tablets. His intention, he says, is to prevent future cell phones and flat touch-sensitive, too, receive benefits. She set the screen size of at least 140 square inches and a maximum of 600 square centimeters. According to a release from Brazil’s government (August 9, 2011), a new industrial, technological, service and foreign trade policy has been outlined for Brazil. The new measures are to reduce the 20% welfare tax to zero (0%) for sectors that are sensitive to the exchange rate and international competition and which are labor intensive—such as, apparel, footwear, furniture and software. In addition to payroll tax breaks, the new program (known in English as “Greater Brazil”) establishes a series of initial action ranging from tax breaks on exports, the creation of Reintegra(which pays back to manufactured goods exporters 3% of their export revenue along the same lines as an income tax rebate), to approval of the government purchasing law, the strengthening of commercial defenses, and the creation of special low tax rates for different sectors. In addition, the industrial policy makes the National Economic and Social Development Bank (BNDES) responsible for financing innovation and investment. One of the main measures in this area is a R$ 2 billion credit line to expand the bank’s innovation portfolio. The overall strategic guidelines for the Greater Brazil plan and other new measures are expected to be announced in the next few days. FONTE: IBGE, Departamento de Contas Nacionais – DECNA.